Motorsport fans will be busy today at Bahrain International Circuit (BIC) in Sakhir which has put together a packed programme of exhilarating on-track experiences, starting early in the morning. Three of BIC’s popular public offerings will be available, including the Ultimate Track Experience, Open Track Night and Jaguar Experience. From 8am to 4pm, fans will be able to choose from a series of drives and passenger rides that are all under the umbrella of the Ultimate Track Experience. Then, from 4pm to 11pm, speed lovers will have a chance to drive their very own cars or ride their motorbikes along BIC’s 2.55-kilometre Inner Circuit with Open Track Night, during which the hugely exciting Jaguar Experience can also be enjoyed. 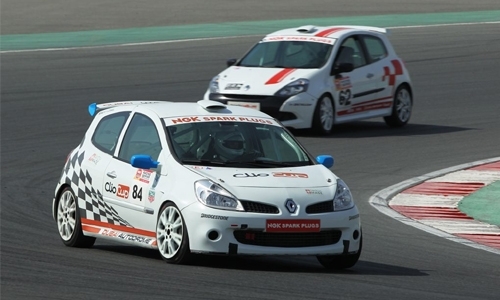 The Ultimate Track Experience activities include drives in a Clio Cup sports car and in a Radical SR1 prototype, as well as passenger rides in a Clio Cup and an ultra-quick Radical SR3. Meanwhile, Open Track Night is expected to attract some serious sports cars and motorbikes that are rarely ever seen hitting the streets. Many of these top-of-the-line automobiles will be coming from all over the Gulf, including from Saudi Arabia, Kuwait, Oman and the UAE.